Yesterday’s Legislative Gazette highlighted the funding received for the MHANYS School Mental Health Resource and Training Center. We were pleased that Governor Cuomo recognized the Center as an integral part of mental health education in schools by adding half a million dollars in the budget. Though we were unable to receive additional funding in this year’s budget, we have made great strides in working with the Senate Education Chair, Shelly Mayer and the Assembly Education Chair, Michael Benedetto regarding the need for mental health education in schools. We have witnessed the mindset change around mental health in schools throughout the last few years culminating in the creation of the Resource Center. Through the Center, we have engaged thousands of educators, administrators, families and students about the importance of mental health in schools. Attached is a list of some of the things that have been accomplished in the last six months. Though we will have more limited funding moving forward, MHANYS will continue our robust commitment to the Resource Center. As we have consistently said, this is about a movement and not just about a law. Our MHAs and colleagues in education and mental health across New York State are witnessing these changes. Silos that have been around for decades between mental health and education are breaking down led by the Office of Mental Health and State Education Department. The funding by the Executive will allow us to continue this important work moving forward. In the final budget passed April 1, the governor and the Legislature allocated $500,000 for a training center designed to help educators develop curriculum for teaching about mental health awareness in public and private schools. 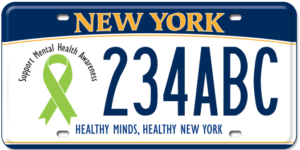 The School Mental Health Resource and Training Center, operated by the Mental Health Association of New York State, had asked for $1 million to operate its website and training programs, which are offered across the state at no cost to educators. In 2016, Governor Cuomo signed into law a bill that requires schools to include mental health instruction, including the multiple dimensions of mental health, to be taught as part of the required K-12 health education. The Center helps schools comply with that law. During a recent rally at the Capitol, called Mental Health Matters Day, more than 450 students and mental health professionals from across state to assemble in West Capitol Park and then marched to the steps of the Capitol, calling for further support of mental health education, workforce needs, and housing from the state.